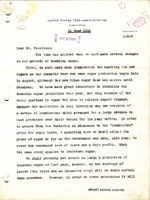 Date is exactly "1918 June 15"
Herbert Hoover writes to Woodrow Wilson about the sugar situation. RR Moton, principal of the Tuskegee Institute, calls on African-Americans to aid the war effort by working six days a week. 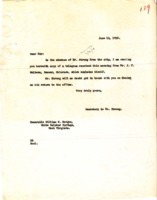 Benjmain Strong Jr. writes William G. McAdoo regarding the latter's trip to Colorado. 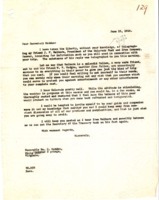 Benjamin Strong Jr.'s secretary sends William G. McAdoo a telegram from J.F. Welborn. 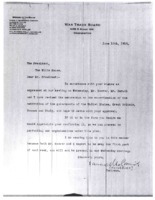 Benjamin Strong Jr. writes Russell C. Leffingwell on the question of lending the Bank of France additional funds for the war effort.